About 3/4ths through the block of time carved out for project production, my mind starts to splutter. The writing gears just sort of give out. That’s when art style and direction exercises take over. 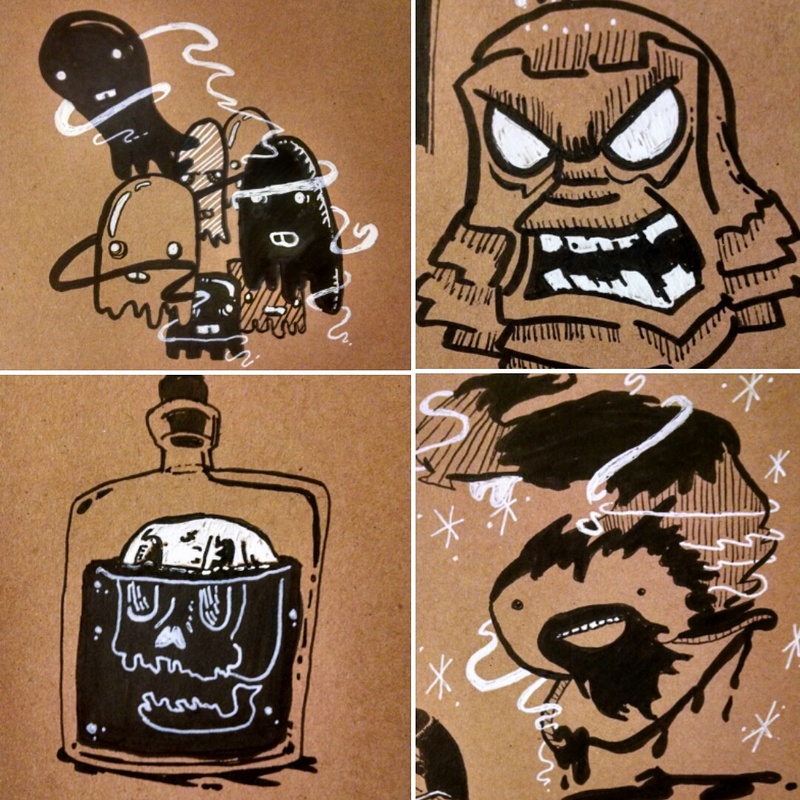 The scribbles & sketches seen above are experiments (though they might not look it) and studies of what works while using black ink, white acrylic, and Sharpie marker on toned paper. There’s something cathartic about these scribble-dibbles. This entry was posted in Graphic Novel Project, Random, Sketches by rebeccamillerillustration. Bookmark the permalink.